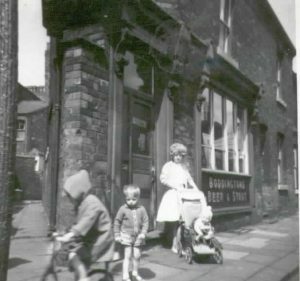 This is my parent’s off licence on Walter St, Cheetham Hill which was just off Marlborough Rd near Elizabeth St, Cheetham Hill. I am with my brother and sister outside and it was taken in 1963. Posted in Your Photos by Martin Bush on January 17th, 2018.